Kurt Cobain was the lead singer of the infamous band Nirvana. 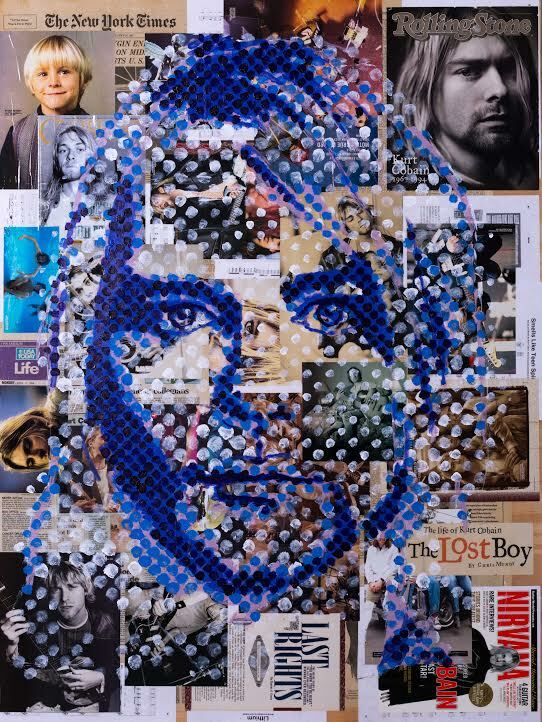 Cobain touched millions with his lyrics and powerful punk ballads. His suicide impacted countless of young rock and roll fans all over the world. Clark transforms his image in his Iconoclast series.